A young schoolgirl, today, narrowly escaped death and being abducted as her suspected abductor flung her off a bridge near Kado, Abuja. The man was said to have later confessed that he was sent to bring a human being for sacrifice. He has since been handed over the police. 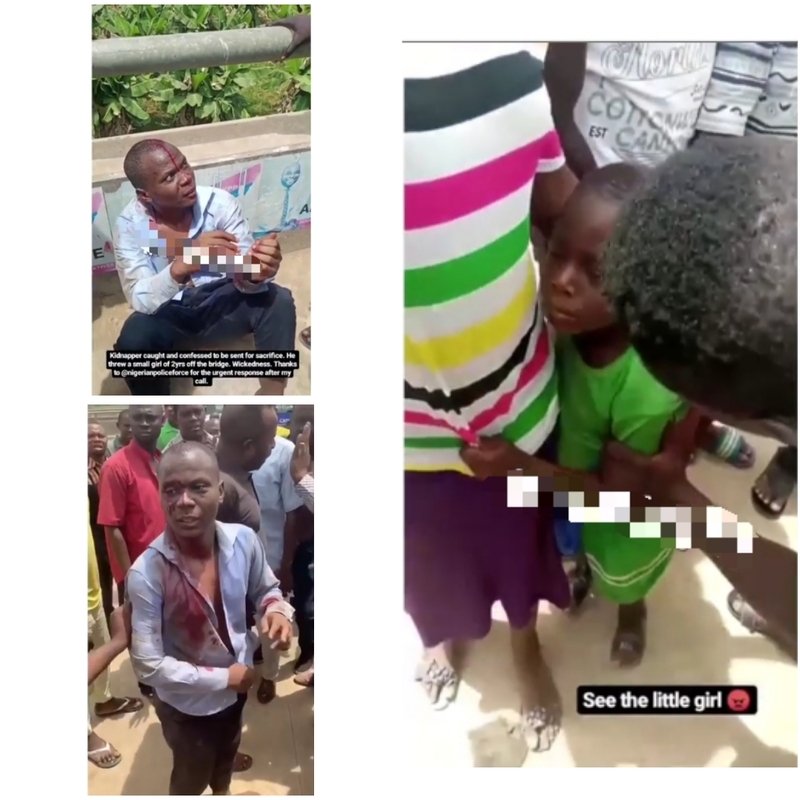 Kidnapper nabbed after throwing student off a bridge . . A young schoolgirl, today, narrowly escaped death and being abducted as her suspected abductor flung her off a bridge near Kado, Abuja. . . It was assumed that the suspect was trying to transfer the girl to his accomplice under the bridge because there was no river underneath. . . The man was said to have later confessed that he was sent to bring a human being for sacrifice. He has since been handed over the police.